SEOUL, Korea (August 31, 2016) – Netmarble Games Corp: the fastest-growing mobile game company in Asia, today announced the global release of Final Shot, a real-time, easy-to-play mobile first-person shooter (FPS). Final Shot captures the gameplay experience of an authentic FPS, optimised for the mobile gaming environment. In keeping with traditional FPS action shooters, players in Final Shot can move freely(forward, backwards, to the sides, and run) in dynamic, open-air maps battling their enemies in PvP matches up to 5v5 players. 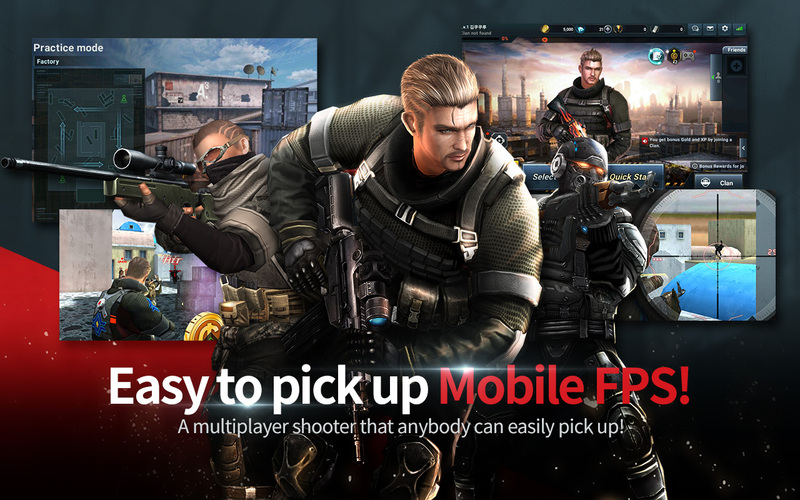 A custom, close-range auto-targeting system combined with a “Revenge” feature (allowing players to immediately exact revenge towards enemies attacking from behind with a single tap of a button) make Final Shot the ultimate mobile FPS experience. 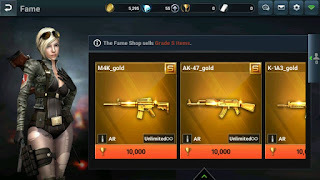 Final Shot can equip players with over 200 realistic weapons that complement four major battle modes including Assault Rifle, Sniper, Pistol and Knife play modes. With over 5 exciting maps, and eight fierce characters (which can equip 13 unique accessories each), Netmarble’s newest title is the most robust mobile FPS to date. Three divisions – Single Player, Clan, and PvP – caters to any mobile gamer. Final Shot offers standard PvE modes as well as PvP Deathmatch, Annihilation, and Demolition. Solo Ladder Match, Knife Match and Tag will also be available in an upcoming update. Matching up with other players is easier than ever with Final Shot. Players now can easily invite friends or enter a clan member’s game with a single tap of an on-screen button – no more second platform diversions via the “Quick Entry” system: anytime, anywhere across all major social networking service and messenger channels. 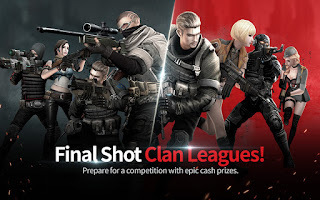 With no minimum level requirements or restrictions, Final Shot can be enjoyed by anyone of every skill level, and joining a Clan offers players amazing rewards. Exciting Clan content includes real-time PvP matches up to 5v5, special Missions and Rewards, League prestige. Along with an intuitive chat system to communicate with friends, Final Shot offers a real-time Clan ranking mode with bi-weekly seasons that players won’t want to miss. Final Shot will be available globally (except China) in 13 different languages. Arabic will be updated at a later date to be confirmed. 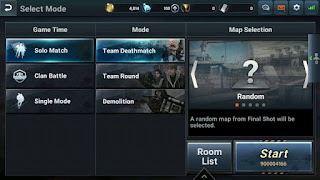 Dynamic Multiplayer Modes: Check if friends are online to start a battle instantly! Invite players directly across multiple platforms with a single tap. Unrivaled Communication System: Final Shot features a smart chat system for a simple and efficient way to communicate with fellow players. Three Divisions of Play: Anyone can play! Solo: Practice Mode allows users to play with or against AI in an intense PvE training mode and competes to rank in 2-week seasons. 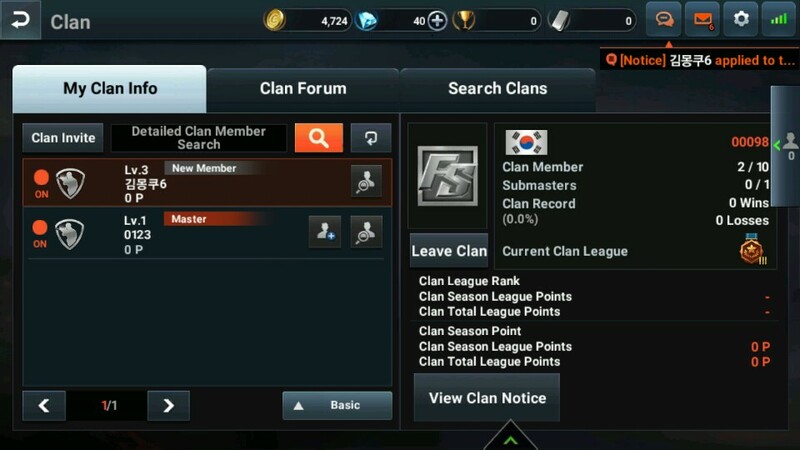 Clan: Clan Matches have players battling in 5v5 PvP matches between Clans and fighting for their League. Clan ranking mode features 2-week seasonal periods as well! Group: 5v5 Team Deathmatches let players face off in real-time 5v5 matches or in Friend Party Mode where users play with or against friends instantly! 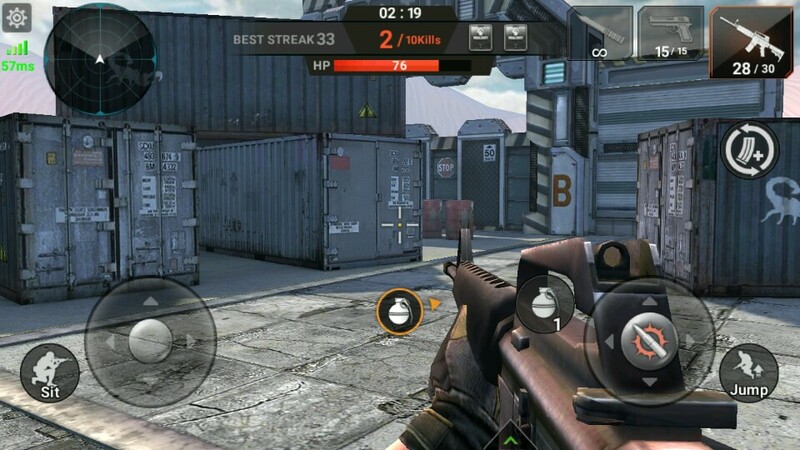 Real-time: All PvP modes can be played in real-time; it’s the most exciting FPS on mobile today! Heavy-Duty Weapon Upgrades: Upgrade weapons frequently for max firepower using Final Shot’s powerful Upgrade Kits. Special subscriptions offer content catered to any play style. 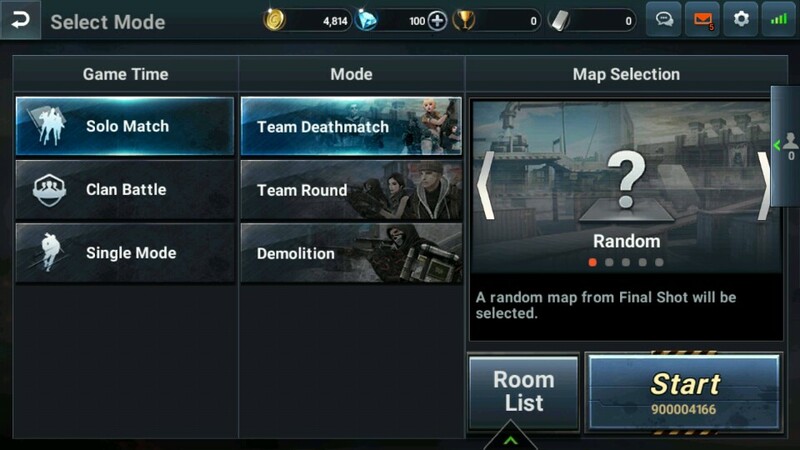 Missions and Rewards: Daily, weekly, or monthly Missions and Achievements help keep track of player’s matches and performance. Every Device Can Play: low file size and system requirements (50MB application file size with an additional 100MB CDN patch) mean anyone is able to run Final Shot, including lower-memory/lower-spec mobile devices. Global Matches, All the Time: Available in 13 languages at launch including Korean, English, French, Spanish, German, Italian, Portuguese, Turkish, Taiwanese, Japanese, Indonesian, Thai, and Vietnamese. 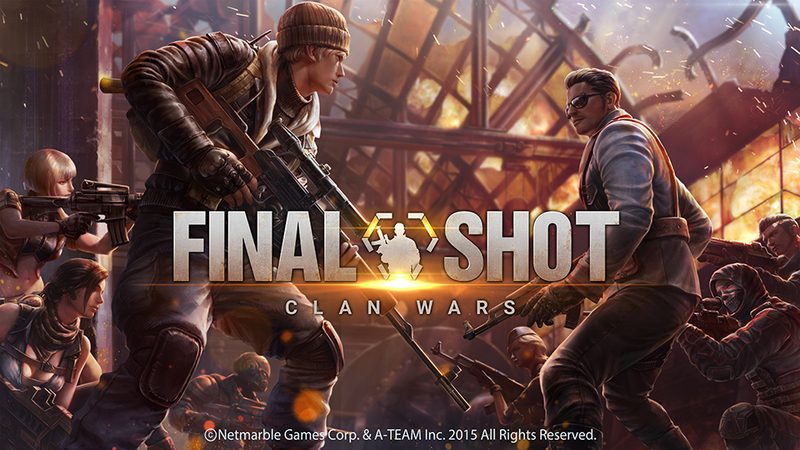 Developed by Netmarble’s N2 development team, Final Shot is available NOW for free on the iTunes App Store and Google Play. 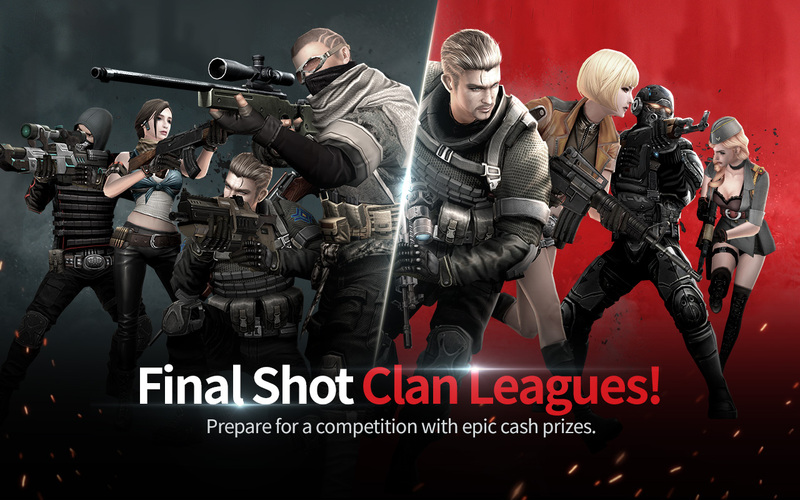 Find out more about Final Shot online here: http://finalshot.netmarble.com/en.